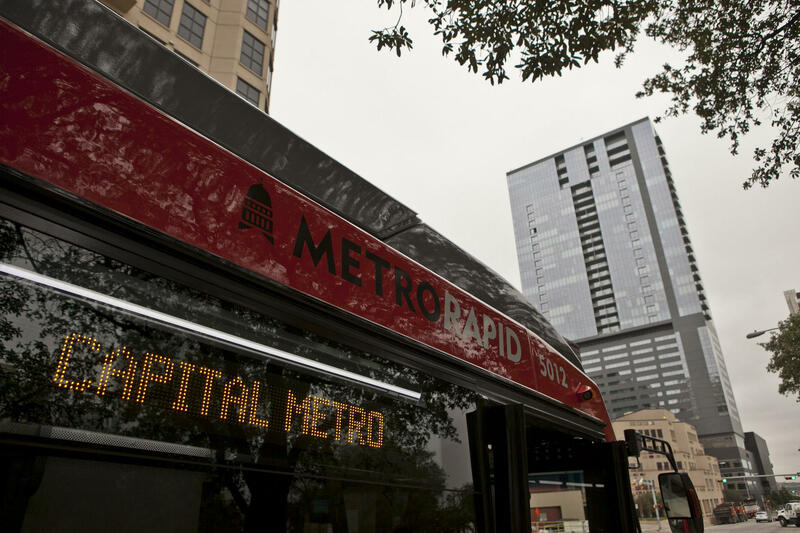 Capital Metro is looking for input on its Connections 2025 plan, an effort to bolster public transit ridership in CapMetro's service area. This week, Capital Metro is presenting the latest findings from its Connections 2025 study, which seeks to revamp Austin’s public transit system over the next 10 years. The new report looks at how Capital Metro’s services fit in with changing demographics, and shows that while Austin’s transit ridership is higher than cities like Dallas and San Antonio, it’s still declining. Todd Hemingson is CapMetro’s vice president of strategic planning and development. “One of the key things we wanted to emphasize is that our ridership is not keeping pace with population, and we want to address that as effectively as we can," he says. 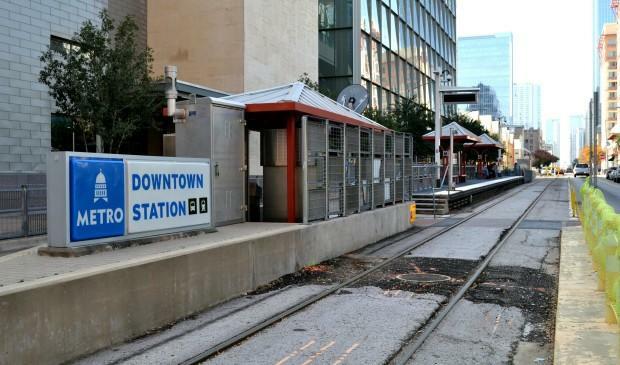 CapMetro’s operating costs also continue to grow. Hemingson thinks the drop in ridership ties into the city’s overall affordability. “We’re seeing significant portions of the community that had traditionally been bus riders and lived relatively close in, in many cases can’t afford to do that anymore, and so they’re moving out to parts of greater Austin where, in many cases, unfortunately it’s even outside of where Capital Metro offers service," Hemingson says. CapMetro conducts a major transit analysis every five years or so. A 2010 study led to the rollout of Metro Rapid, which offers faster bus service in exchange for a higher fare. But Hemingson says it hasn’t worked out as CapMetro initially imagined. “We’ve seen some of our riders that have been using those routes in the same corridors for many years were reluctant to pay the premium, and they would just wait for the local service instead," he says. At this point, CapMetro is working to identify needed improvements before developing a more detailed transit plan, but some changes could be implemented sooner. John Laycock is with AURA, a grassroots group which advocates for transportation and land use improvements. The group released its Transit City study this week, calling for a mobility bond on the November ballot. Laycock says it would provide the needed funding to build sidewalks and add more protected bike lanes. “It’s less about a single line, a single piece of infrastructure that will save all the city’s problems than making the city as a whole ready to start embracing multi-modal travel and people getting out of their cars, on their feet or in a bus," Laycock says. CapMetro is inviting the public to weigh on its findings at a series of open houses this week, including one tonight at 5 at the Pleasant Hill Branch Library on William Cannon Drive. The board of directors is expected to adopt a final transit plan late this year. Both CapMetro's full Connections 2025 presentation and AURA's Transit City study are embedded below. Some changes are coming to a few of the city’s bus routes this week. In an attempt to increase ridership, four Capital Metro bus routes will be running more often. “We’re going to be upgrading five of the busiest routes in our whole system. And four of those will run every 15 minutes or better across the weekday,” says Todd Hemingson of Cap Metro. Of the four routes that will run more often, the longest is Number 7, which runs from Heritage Hills to Dove Springs. Hemingson says the goal of the added frequency is to begin creating a network of buses in town that run regularly enough that you can conveniently get around town without having to wait for a bus or transfer for more than seven minutes. After much back-and-forth with labor groups, Capital Metro’s board of directors approved a final agreement Monday with developers for its Plaza Saltillo project. The final agreement addresses two points that labor groups have been pushing for – better wages and on-site supervision.